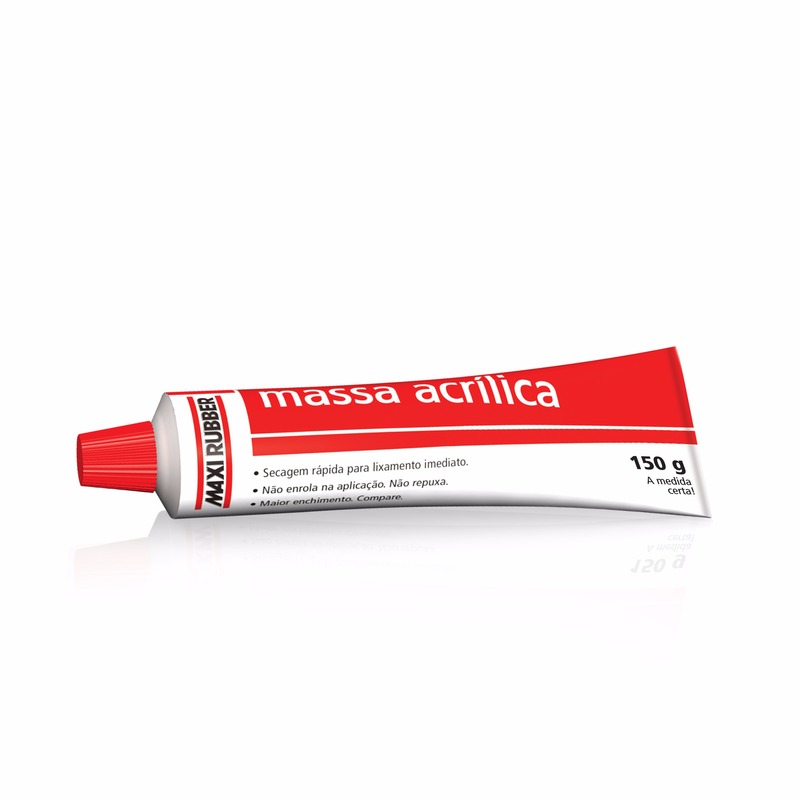 Indicated for correction of small scratches and imperfections such as sandpaper marks. It can be used on painted surfaces, primer or polyester paste, ideal product to correct minor defects of the preparation work. • After drying (10 to 20 minutes) sand with dry sandpaper 220 and finish with sandpaper 320. • Can be sanded and primer can be applied after 30-60 minutes of air drying, depending on temperature and film thickness. • The acrylic paste should not be applied directly to sheet metal. • Temperature forced drying can cause cracks, bubbles, and loss of adhesion. Acrylic resin, mineral fillers, inorganic and organic pigments, additives and solvents.